SpaceMan Home & Office, the company David Linda started in 1999, was named to the Houston Business Journal’s Best Places to Work list for 2012 and 2013. This award is determined though a survey given to employees at hundreds of area companies. It’s a huge achievement, and a distinct differentiator and competitive advantage. After all, happy employees take better care of customers. After three years as director of marketing at the Global Reporting Initiative, Marjolein Baghuis joined Innate Motion in January. The firm helps other companies integrate human sense and sustainability into their brands and business. 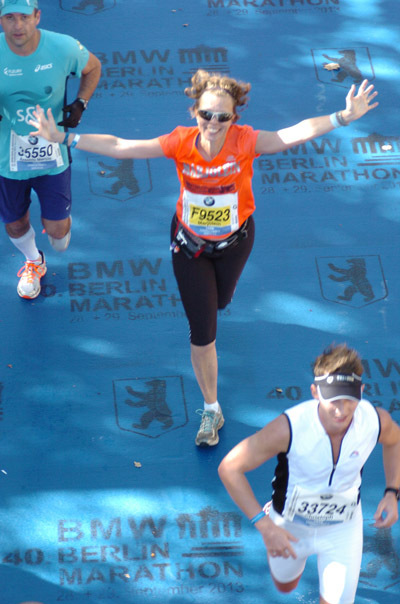 In between jobs, Marjolein ran the Berlin Marathon and started her own blog on change for a more sustainable world.